New Avenue is a project management, architecture and construction company. The company has over 1,500 architects and builders in that have worked on 350+ projects and $100 million in total value. Architects and contractors typically have over 20 years of experience and provide the highest level of service in the industry. Our average project finishes within 8% of the contract price. Half of the increase is from voluntary choices where owners choose nicer products. The other half are problems that we encounter. That happens on every job and containing overages to such a small degree starts with great design and finished with great management. Anyone can start a project on the New Avenue site and meet with one of our local architects or contractors. etA is a full-service architecture office focused on residential and commercial projects throughout the Bay Area. Working collaboratively with each client, etA creates unique architectural designs that respond to context, function and budget. Expressing the essence of materials, light and space, etA creates high-quality, well-crafted designs. Permitting experience, attention to detail, and follow-through during construction distinguish etA and result in successful built projects. Please contact us to schedule a complementary meeting to discuss our design process, full portfolio, and the construction and permitting process. 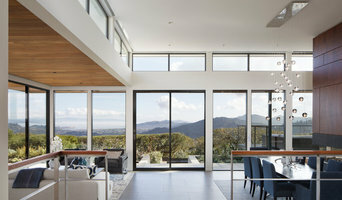 How do I find the best El Cerrito architect for my home design project? It is best to hire a home architect who will be involved in all phases of the design process, from the initial concept to the completed construction. The architect is often the first person you will hire for your project. If necessary, they might also help you select and hire California subcontractors, which can include the builders, engineers and landscaper. Interior architects are also involved in negotiating contracts for all involved participants. It is for these reasons that it is extremely important for you to have a good relationship with the El Cerrito residential architect you hire. He or she can be the tie-breaking vote between you and the general contractor and can be your biggest advocate during the construction process. 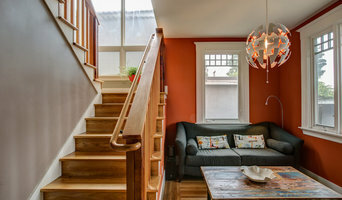 Different architecture firms in El Cerrito, CA provide different services, so the scope of the work can span from pre-design environmental impact studies to selecting furniture and finishes, depending on what your specific needs are. It is very important to hire the right professional for the job. Remember that the most well-known or established designer might not provide the best architectural services for your needs. It all comes down to the individual project. Research and ask people whose work you like for recommendations. It's important to have somewhat of an idea of the style of house architecture that you prefer, as well as the amount you would like to spend. Residential architects in El Cerrito, CA are natural problem solvers. They will assess the entire situation and help you to solve your problems too. Don't settle for a single company too early. Call and interview a few. Make sure that you feel like your personalities will mesh well and that you like their professional perspective. 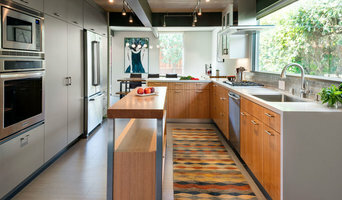 Find a home architect in El Cerrito, CA on Houzz. 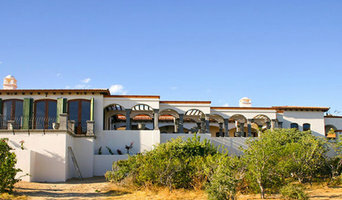 Narrow your search in the Professionals section of the website to El Cerrito architects. You may also look through photos of California projects to find interior architects and building designers who have worked on a project similar to yours.